Mumbai: Neesha Singh was a mere teenager when she played the part of Naseem in ‘Bazaar’. She had accepted the part because she was charmed by the Farooque Shaikh she had seen in ‘Garm Hava’, gentle yet intense, not macho or overpowering. Shaikh Sahab’s 71st birth anniversary is being celebrated today. He was born Thursday March 25, 1948 in his native village of Amroli in Naswadi taluka of Vadodara, Gujarat. Neeshaji’s scenes with Shaikh Sahab in ‘Bazaar’ are a textbook portrayal of unrequited love in Hindustani cinema. Another poignant shot occurs when the two women tease Shaikh by arriving veiled in burqa. After Supriya lifts the naqaab and goes to stand beside him, he gestures to Neesha, “Ab tum yahan kya kar rahi ho! Apna raasta lo? !” She says, “Haan, aaj se hum apna raasta badal lete hain”, and turns away sadly. That the lion’s share of footage focussed on Naseeruddin Shah, Smita Patil and Bharat Kapoor came as a revelation to her. Neeshaji did not belong to a film background. She lived in Malabar Hill and studied at Cathedral and John Connon School. Then she went to college in St Xavier’s, which is also where Shaikh Sahab studied. She took her Masters Degree from Elphinstone College. Her notable work apart from ‘Bazaar’ and ‘Ankush’ includes ‘Buniyaad’ and also the first English serial produced in India, ‘A Mouthful of Sky’. It was produced by Plus Channel and introduced several artistes like Milind Soman, Madhavan, Rahul Bose and Arjun Rampal. Mumbai: Senior theatre and television actor Girija Shankar produced a single film and made a success of it. He fondly gives credit to Farooque Shaikh for having made that journey a pleasant one. Way back in 1984, Girijaji had co-produced the mad comedy ‘Ab Ayega Mazaa’ with his actor friend from Delhi, Alok Nath. The collective Midas touch of the unit has assured it pride of place among India’s best comedies. Shaikh Sahab’s 71st birth anniversary will be celebrated tomorrow Monday, March 25. Girijaji is a theatre artiste of repute, with plays like ‘Lower Deck’ by Maxim Gorky, ‘Raag Darbari’ by Shrilal Shukl and Ekjute’s ‘Najma’ with Om Puri and Naseeruddin Shah. ‘Ab Ayega Mazaa’ (1984) was an interesting project that arose during a spell of time when acting offers were far and few. A group of struggling actors like Girijaji and Alok Nath who were looking to gain a foothold in Bombay’s film world, decided to make their own movie as they waited for assignments to come by. Each went on to achieve a stellar career in cinema and TV, Girijaji with Buniyaad and Mahabharat in particular. Girijaji plays the owner of the advertising agency which Shaikh Sahab has newly joined. Driven by his keenness to revive a failing brand of soap, Girijaji oddly decides to infuse ginger in the product at the suggestion of the smooth talking Raja Bundela. But Shaikh Sahab, honest and outspoken, questions the logic saying, “Lekin nahaane-dhone mein adrak kaise aayega, Sir?” The boss takes a dislike to him owing to this veto. He eventually hands him a suspension after Shaikh points out that a rogue client is pushing drugs in the guise of incense. The film had an abundance of new talent right from director Pankuj Parashar to composers Anand Milind, lyricist Sameer and singer Udit Narayan. The madcap song ‘440 volt ki ladki’ was Udit’s first, says Girijaji. Veteran cinematographer AK Bir came on board and enhanced the technical quotient. The producers’ fraternity often has multiple anecdotes of star tantrums to narrate, right from the kind of flowers that actors demand for their hotel suites or the kind of meal they expect to be served. Shaikh Sahab was in an altogether different league. Earlier too, the production manager of Tumhari Amrita, Pallavi Gurjar, had testified to his simplicity, saying he only wanted Marie biscuits and coffee before a show. Then the director of Jeena Isi Ka Naam Hai, Smriti Kiran, recalled a simple request for “kuchh meetha”. Shaikh Sahab in fact himself brought cakes or mithai for the team. Girijaji had a similar experience. “We were first-timers. And I found Farooque Shaikh to be very easygoing, a happy go lucky man. No tantrum at all. Of course we were also careful to not give our actors or crew any cause for complaint. But you know, there are stars like Rajesh Khanna or Jeetuji. The system there is different. Farooque Shaikh kept a low profile. He was a star but did not behave like one. He was a very genuine person.” Girijaji used the epithet “genuine” three times during this interview to describe Farooque Shaikh. He also discerned Shaikh Sahab’s abiding fondness for white chikan kurtas and marvelled how good he looked in them. “I think white made him feel happy. I saw him wearing shirts and trousers, but not very often. You know, not all clothes suit everyone. But Farooque Shaikh came to be identified with white Lucknowi kurtas. They suited him very well,” Girijaji says. The filming of ‘Ab Ayega Mazaa’ went off like a dream. The film received its Censor certificate on 12 April 1984 and released shortly afterwards. Girijaji remembers how they all went together to New Talkies theatre in Bandra to see how many spectators had arrived for the shows, and to gauge public reaction. “It was my first production so naturally there was the anxiety factor. Farooque Sahab also came with us. Thankfully, the hall was filled and people were enjoying the picture thoroughly,” he says. ‘Ab Ayega..’ was a commercial success and remains a fun watch for all time. The film is available on YouTube. Over the years, Girijaji ran into Shaikh Sahab at theatre plays. He saw ‘Tumhari Amrita’ several times and still nurses a heady admiration of its skilful writing, expert direction as well as peerless performance. They sometimes met in their common neighbourhood of Andheri. Shaikh Sahab lived in Highland Park, Girijaji in nearby Yamuna Park. Mumbai: In the late 1980s, the world of Marathi television and cinema was introduced to a light-eyed actor named Ravindra Mankani, through the TV serial ‘Swami’ and Hridaynath Mangeshkar’s musical film ‘Nivdung’. The former civil engineer from Pune went on to make memorable movies and TV shows, and remains a household name to this day. Right in his early days, Mankani secured a major part in the Hindi series ‘Shrikant’ where he got an opportunity to work with Farooque Shaikh, who was eight years his senior. Thirty years have passed, yet he cherishes memories of Shaikh Sahab’s mastery over languages, and his ability to deliver the desired shot in the very first take. Shaikh Sahab’s 71st birth anniversary will be celebrated Monday March 25. Ravindra Mankani lives in Pune where he runs Raviraj Studio with his sons Sushrut and Rohan. He travels frequently to Mumbai for work. He made time off a busy dubbing schedule in Pune to speak about Shaikh Sahab. “‘Shrikant’ was the first Hindi serial I did. Before that I had made the Marathi series ‘Swami’,” he says. ‘Swami’ (1987) achieved landmark success on television. By coincidence, it also marked the Marathi debut of his co-star Mrinal Kulkarni, who like him, soon made her first Hindi appearance in ‘Shrikant’. ‘Shrikant’ was broadcast in three phases from 1987 to 1991. Mankani essayed the part of Rohini, the childhood friend of Abhaya (Mrinal Kulkarni), who nurtures a deep abiding love for her but does not speak his feelings because he fears he is not good enough for her. His silent expression shines through in the way he indulges Abhaya’s passion for green chickpea (hare chane) through the years, even learns to cook them especially well to suit her taste. Abhaya meanwhile develops an attraction for a smart stranger named Rudra (Irfan Khan) who arrives in the village. They get married, but Rudra soon deserts his wife under the pretext of finding a job in the city. Years pass before Abhaya learns he is in Burma. She decides to travel there to seek him out, and the faithful Rohini accompanies her. It is on the ship to Burma that they meet Shaikh Sahab, who saves Rohini from falling overboard as he tries to salvage his cache of ‘hare chane’ during a storm. Shaikh soon becomes a willing benefactor and locates the rogue Rudra in Burma. He perceives Rohini’s fondness for Abhaya and is touched by his steadfastness. Director Praveen Nischol had marvelled at this very same quality in his own tribute to Shaikh Sahab as part of this series. “Farooque Shaikh never caused a retake. In fact, he patiently agreed to shoot every time retakes were required because of other actors or technicians,” he had said. Over the decades, Ravindra Mankani rose to become a stellar artiste on the Marathi scene with pictures like Nivdung, Varsa Laxmicha, Not Only Mrs Raut, Limited Manuski and Rama Madhav (also based on the novel Swami, and interestingly, directed by Mrinal Kulkarni), apart from serials like Bajirao Peshwa and the ongoing Baap Manus. He has won multiple state awards. Hindi audiences are familiar with him owing to films like Astitva, Satya, Khakee and MS Dhoni. “I did not get a chance to work with Farooqueji again. It was such a shock to hear of his passing. Who would have imagined that he would be visiting Dubai to enjoy the new year and this would happen. We were not in touch for very long, but the time we spent together during Shrikant is very dear to my heart,” he says. Mumbai: Veteran Marathi actor Satish Pulekar barely shot a few scenes together with Farooque Shaikh, and that was nearly 30 years ago in the TV serial ‘Shrikant’. Yet that calm smiling face worked its magic in no time, and made it last forever, he says. Television was a medium that Farooque Shaikh had explored early in the 1970s when he hosted youth programmes for Bombay Doordarshan. However, his second foray, Shrikant, was a brave decision given that this was in 1987 when he was already a big film star, with hits like Noorie, Chashme Buddoor, Katha, Saath Saath and Umrao Jaan to his name. Shaikh Sahab played the lead role in this series, some episodes of which are now available on YouTube courtesy DD Archives. The novel by Saratchandra Chatterjee traces the protagonist’s journey from Calcutta to Burma. It is in his lodge in Rangoon that Shrikant comes across fellow immigrant Charu, played by Pulekar. The two had a few brief scenes together which did not amount to much in terms of footage, yet sufficed to leave a deep groove in memory. Satish Pulekar, born in 1950 and therefore two years younger than Shaikh Sahab, is an award-winning actor with five decades of theatre behind him. His popular plays are Sakhe Shejari, Purush, Karaar where he had a double role, Kunitari Aahe Tithe, Durgabai Jara Japoon, Prakaran Dusre which won him the Natya Darpan award, as well as the very popular Abhimanyu and Happy Birthday. A parallel career in films from the 1980s catapulted Pulekar into the limelight with Atyachar, Vishwas, Halad Rusli Kunku Hasla, Yeda, Aa Bb Kk and Youth. Interestingly, he is also a cartoonist of merit. His multiple shows on Marathi TV are very successful, yet a brief appearance in the Hindi ‘Shrikant’ by Praveen Nischol remains noteworthy. Pulekar plays Charu, a mercenary who ensnares a beautiful, simple Burmese heiress Mahala by falsely professing love and marrying her. Blinded by devotion, Mahala thinks nothing of plying Charu with a lavish lifestyle, even though he wheedles large sums of money every now and then. Her retinue of servants rushes to welcome the master as he arrives at her mansion after a long absence. Mahala herself takes over from them and serves him. In fact, his departure by steamship to Calcutta makes a particularly shocking scene. She has already surrendered much of her wealth to Charu. His purpose served, he is keen to head back home and escape this marriage. Suddenly he notices the shining jewel in her finger ring, and asks her to give it to him as a keepsake. However, the ring is tight and will not come off. Shaikh Sahab, who is present at the dock, is appalled to see Charu cruelly pull the ring off, causing the flesh to tear and leaving her with a bleeding finger. Conversely Mahala scarcely glances at the wound, simply overcome by pain at parting from her husband. The girl who enacted the role of Mahala was also an asset to the serial, extremely beautiful, with dainty manners and an earnest performance. Shrikant’ was aired from 1987 through 1991 in three segments with various women actors in the lead. “If it was 1991 as you say, and 30 years have passed, then you can understand how deep an impression Farooqueji must have made upon me that has lasted three decades,” says Pulekar. Truly, the actor spoke to TOI instantly, without seeking time to gather his thoughts. The tribute he offered was warm, heartfelt and spontaneous. Pulekar says he did not get an opportunity to work with Shaikh Sahab again given that he became more engrossed in Marathi media. But he followed his career. Of course, the ‘shaant’ visage with its unique infectious smile flashes before his mind’s eye every now and then. 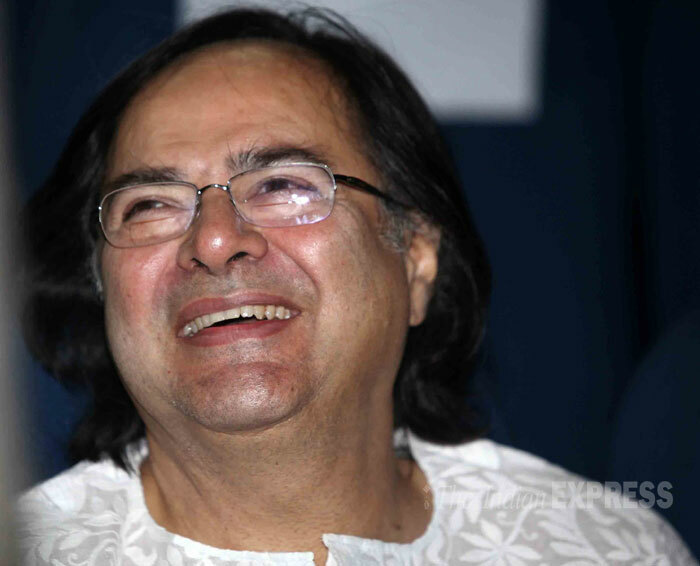 Mumbai: In a very welcome development, Farooque Shaikh Sahab became the first artiste to receive the Bimal Roy Memorial Lifetime Achievement Award after his passing. So far in its 21 year history, this honour has always been presented to a living individual. The awards were presented to Shaikh and other luminaries Asha Parekh, Jackie Shroff, Ananth Mahadevan and Amit Rai at Savarkar Auditorium in Shivaji Park, Mumbai, Tuesday January 8. Veteran actress Sulochanaji was seated among the spectators. This unique honour for Shaikh Sahab marked the start of the Bimal Roy Awards ceremony. The presentation was preceded by a brief audio-visual featuring vignettes of his films from ‘Garm Hava’ to ‘Yeh Jawaani Hai Deewani’. Singer Sagar Savarkar gave a competent performance of his unforgettable song from Saath Saath, ‘Tumko dekha toh yeh khayaal aaya’. RJ Siddharth, who was the host of the award ceremony, is evidently a fan. He recalled his two meetings with Shaikh Sahab. He echoed the impression that lakhs of viewers have of Shaikh Sahab when he repeatedly using descriptions like “masoomiyat” (innocence) and “saadgi” (simplicity) to describe him. He mentioned how Shaikh Sahab travelled by autos and taxis without a care for his star status. Mumbai: House No. 28 of Memni Building in Nagpada seems to wait interminably for a certain someone who left 30 years ago. Other houses have been fragmented into smaller units, sold, leased, sublet, changed hands multiple times. Not No. 28. Nobody has lived here since Farooque Shaikh moved in 1987. Shaikh Sahab’s fifth Remembrance Day was observed Friday, December 28. Memni Building is located at Nagpada Junction. It has approximately 90 houses, big and small, across five wings. There are five gates. The one leading to Shaikh Sahab’s second floor apartment is the furthest on the Duncan Road side. His house is likely the biggest in the building. The family is said to have lived here from the 1940s or 1950s. That’s not all. House No. 28 seems destined to belong to owners with a large heart. In 1987 Shaikh sold the flat to Reyaz Shaikh whose son Nasir now manages it. In fact the first day TOI visited, an elderly gentleman from another city was staying over with his kin, having just concluded marriage festivities the day before. A day after his departure, Nasir Shaikh kindly opened the house to TOI. Nasir, 48, is an alumnus of Christ Church School and treasurer of its ex-students’ association. He has taken degrees in MCom and MBA. He is married with three children. His father Reyaz Shaikh is a businessman who owns several properties in Nagpada. “I was in Class X in 1986 when Farooque Shaikh came to our house in Bait ul’ Aman building across the road as part of the negotiations for the deal. He had become a big star after Noorie. I remember he was so striking, I was awed. He spoke to me very sweetly although I was just a 16-year-old,” he says with a smile. Reyaz Sahab did intend to live in Memni Building when he sealed the deal. But his wife found it cumbersome to climb the many flights of steep wooden stairs leading to the second floor. House No. 28 is airy, expansive and beautiful, cross ventilated with windows opening out in all directions, giving a circular view of Nagpada. It is also tranquil because none of the ambient noise of traffic filters in. Quaint old world features, arched doorways, carved doors, high wooden beam ceilings, all remind one of a bygone, leisurely era. In fact the statue of the Khada Parsi was located at Nagpada Junction before it was shifted near Byculla bridge. Right beside the main door is a dear little old mailbox topped by a hazy glass window which serves to screen visitors. The main door opens onto a rectangular gallery with windows that look onto Duncan Road. There used to be a bird cage at the further end. To the left is a series of original carved doors leading to the spacious hall. Nasir has installed a folding partition in the hall which he uses when apportioning space to the wedding guests. The hall leads to a long passage flanked with a series of windows on the left. “These are original teak wood,” Nasir says. The windows open onto the neighbour’s house across the floor. All the bedrooms and the kitchen are at right of the passage. The load bearing walls are about 1 ft thick with much space between each room. The next door neighbour Farhat Hannan Shaikh describes how a large mirror hung in the centre of the wall. “Farooque Shaikh would stand here and do his hair. We would see him from our window opposite,” she laughs. This window interface also gave neighbours a chance to see film stars like Poonam Dhillon, Rekha, Deepti Naval, Rakesh Bedi and Satish Shah who visited Shaikh Sahab. Two old doors leading to the bedrooms have been replaced and the hall floor is tiled with marble. But the whole house remains one contiguous unit, just as Shaikh Sahab left it, most features intact. Some antique furniture, including a tall glass case which he owned, remains in the front bedroom – which neighbours say belonged to Shaikh. Nishat Usmani says the velvet sofas in that room are also a remainder of those days, but Nasir denies this. Another highlight of House No. 28 is that the buyer owns the entire terrace right above. Nasir shows the way up through a beautifully carved spiral iron staircase. “We have relaid the floor of the terrace recently to prevent leakage through the roof.” The terrace itself seems to be 2,000 sq ft.
Nasir’s boyhood impressions of Shaikh Sahab endure. “You know, my family also owns a fabrication shop. When Farooque Shaikh moved to Bandra, the grilles in his house were manufactured by us. He was a very nice man. We would invite him to our family weddings and he would come if he could. He came in 1998. Our last wedding was in the year 2000 but he could not make it for that one,” says Nasir. The previous owner of the house thought exactly so. May Shaikh Sahab’s bank of good deeds be amply rewarded by Allah Almighty in Jannat ul’ Firdaus. Aameen. Mumbai: Through his student days and well after he became a famous film star, Farooque Shaikh lived in South Mumbai’s Nagpada locality. He moved to Bandra in 1987. Yet to this day, 30 years later, shopowners and vendors are aware that he stayed in Memni Building along Duncan Road. As they offer directions, they remark what a good soul he was and utter a prayer for his well being in heaven. Shaikh Sahab’s fifth Remembrance Day was observed Friday December 28. He was laid to rest at Four Bungalows Qabrastan this day five years ago December 30, 2013. Farooque Shaikh’s second floor apartment no. 28 in Memni Building remains one of the largest in the society. In fact, it equals the cumulative size of all three flats on the opposite end. She says Nasir, who manages the apartment, has preserved certain items belonging to Shaikh Sahab over 30 years with dedication. “The plush velvet sofas you will see there and certain other items of furniture once belonged to Farooque Shaikh,” she says. Nishat’s sister-in-law Farhat Hannan Shaikh has come visiting from Azamgarh, UP, where she is the principal of a school of 3,500 pupils. It is she who knows Shaikh Sahab’s family better. Farhatji spent her childhood and youth in Memni Building until she got married in 1983. Shaikh Sahab’s family moved in 1987. She remembers Shaikh Sahab as a softspoken gentleman who was never harsh or unkind. “He did not change even when he became a film star. I remember how Poonam Dhillon, Moushumi Chatterjee and Deepti Naval would come to his house. It was cause a stir in the building,” Farhatji laughs. Both Nishat and Farhatji kindly showed TOI around that portion of the building, even the terrace that belonged to Shaikh Sahab’s family. Farhatji said, “I remember his mother Faridaji was a very fine lady. Even after they left, she would come to visit a neighbour downstairs sometimes.” Shaikh Sahab’s mother passed away in February 2011. Mumbai: Farooque Shaikh’s original family home in Mumbai was a spacious flat in the heart of Nagpada in South Mumbai. The sprawling L-shaped Memni Building is a landmark at Nagpada Junction. It has five gates leading to different wings. The Shaikh family lived on the second floor along the Duncan Road flank. Old neighbours still recall the fair, good looking youth who stood head and shoulders above the rest, literally and figuratively. They marvel at his “soorat and seerat” which catapulted their building to fame and drew leading film stars and directors there. They miss his physical presence, not since the past five years but 30. The family left the locality in 1987. TOI chanced upon a group of middle-aged gentlemen lounging on a bench at the entrance of Memni Building and they turned out to be Shaikh Sahab’s childhood friends. Anees Shaikh has lived on the ground floor since 60 plus years. “Farooque Shaikh left this building in 1987. But the impression he made on us will last a lifetime. Each time the topic veers to ‘Second Floor Flat Number 28’, which is among the biggest houses in the building, we remember that it used to belong to Farooque Shaikh,” he says. Shaikh Sahab did take a degree in law but found it was not suited to his temperament. He reportedly sought his father’s permission to act in Garm Hava (1973), and did not resume performing until Gaman and Shatranj Ke Khilari (1977). But those films do not seem to have settled into the memory groove of Memni Building residents. To them Noorie (1979) remains the high point. Scholars of Islam often quote the importance of giving a good name to a newborn child for those traits permeate his personality. ‘Farooque’ means the discerning one, one who can distinguish between right and wrong. Shaikh Sahab lived up to his name. Just as he did not permit the negative influences of Nagpada to penetrate his psyche, equally, he islanded himself from the silvery web of glamour. Examples abound of his fabled humility. “Would you believe, he would actually carry his shoes to the mochi to be polished. That cobbler you see in the corner of the building, his father used to run the stall in those days. He would say, Sahab aap kyon takleef karte hain, main ghar aake joote le jaoonga. Farooque Shaikh would say, Nahin kyon. Main leta aaoonga na. He had no need for servants to fetch and carry for him,” Anees says. Shaikh Sahab would carry his own bags to the taxi stand near Alexandra Cinema when he went outdoors on a shoot. When the youths of Memni Building sought his autograph downstairs, he would say, “Yahaan nahin, ghar pe aao, nashta karo.” They took him up on his offer, and were met with warmth and hospitality at his house. Both men recall how Shaikh Sahab was particularly kind to little children, the chillar party of Memni Building. “Oh, they would make a loud noise sometimes. Other residents would scold them and order them to pipe down except Farooque Shaikh. Kabhi chillaye nahin. Hanske guzar jate the. Even we, as young boys, would sprawl our legs on the stairs and block people’s path. But never did he say, Step aside, or anything harsh. He would step around, find a way and go out,” says Anees. The family may have left Memni Building but Shaikh Sahab’s younger brother Fazal continued visiting for a few years. “His face comes to mind so vividly even now. When he headed out in the afternoon sun… fair complexion, long hair, white kurta. Aur bhi chamakte the!” he laughs. Most old timers from Memni Building have left, either for the farther suburbs, or on the long journey which must culminate in a happy reunion. Mumbai: Noted actor-director Nandita Das is known as much for a feeling heart and thinking head as her talented contribution to the film industry. She is a good 21 years younger than Farooque Shaikh but they shared a warm friendship that transcends mundane details like these. Shaikh Sahab’s fifth Smriti Din will be observed tomorrow Friday, December 28. He shared common association with Nanditaji as well as veteran journalist Kuldip Nayar which resulted in a fruitful partnership lasting decades. In 1996, Nayar took Das to Lahore as part of South Asians for Human Rights, in 2002 he prompted her to visit Gujarat after the riots, and shared recollections of his meeting with Urdu author Saadat Hasan Manto, which helped seed Nanditaji’s recent film that is making waves. Shaikh Sahab, who held an abiding love for Urdu literature, would have relished watching Manto. Nandita Das made time from her busy schedule to write this tribute to her friend. “I first met Farouque Shaikh in New York at the screening of ‘Fire’ at the famous Lincoln Centre. Shabana Azmi, my co-actor, had invited him. I remember the post-film dinner that was filled with much laughter and stimulating conversation. “There was humour, playful banter and at the same time, intense discussions. As (I was) the youngest, they indulged me. They also ensured I ate well! They became my friend, philosopher and guide. Farouque Sahab, in particular, loved food and feeding everyone. I lived in Delhi then, so we would eat road side kakori kebab in Nizamuddin and also the Thai food at the Habitat centre. “Farouque Sahab and I independently also met many a times, both in Bombay and Delhi. He was known for his warmth, generosity and graciousness. He used to send me boxes of alphonso mangoes that I relished in the summer heat of Delhi. I can still hear his uniquely beautiful voice, his most polite tone and his Urdu zabaan. He was full of stories, but also listened with interest. It is not always that the goodness that shines through an actor’s work shines through his or her life too. But with him it did.